Breakfast- Are You Eating It Like a King? Busy Lives and hectic schedules sometimes may make you skip breakfast. But, having something first thing in the morning before leaving the house is crucial to one’s well-being. It provides the body and the brain with fuel after that overnight fast. 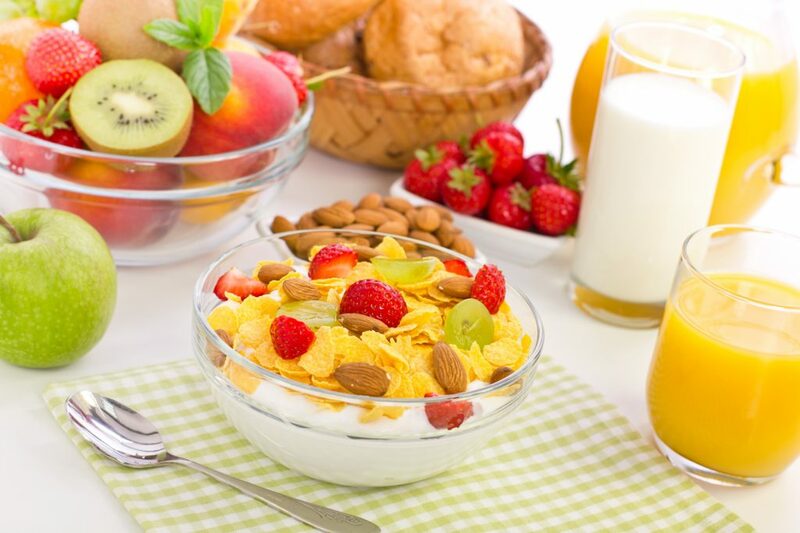 A Healthy Morning Breakfast should offer at least 20-35% of the daily allowed calories. Aside from providing us the required energy, breakfast is a good source of calcium, iron, and Vitamins as well as protein and the fibre. Your body needs these essential nutrients and studies show that if these nutrients are missed at breakfast, they are most likely to be compensated for later during the day. Fruits and vegetables are the best sources of minerals and vitamins and including a portion of this in the breakfast works wonders for the health. This one of for everyone who is planning to lose some weight. Research shows that those who have their breakfast in the morning are less likely to be overweight than those who skip their breakfast. The reason being those who miss their breakfast are more likely to reach for sugared and fatty snacks mid-morning. Muesli is the best breakfast option. It is a basic preparation and is also quite healthy. It is whole oats, wheat flakes, and dried nuts and fruits. Look for a no sugar options that are readily available in the market. Oats and wheat flakes are loaded with fibre which helps in digestion problems and bad cholesterol. It is an energy dense food and helps in chasing away the drowsiness after waking up. Berry and Yogurt Smoothie: Blend some frozen berries with the Greek yogurt and add either coconut water, milk or even juice. You can freeze this overnight and enjoy it in the morning. Spice up a bowl of fruit cup and add a scoop of quinoa to it. You can then add a dressing of lime, honey, and basil for that extra kick. Idly: Idly makes a great Indian breakfast option, it is easy to make, light and a healthy breakfast option. Banana and Peanut Butter Smoothie: Smoothies and a great option when you are on the go. Blend bananas, peanut butter and some milk, some yogurt and honey. Few ice cubes make this drink even better. Dal Ka Paratha: Add that leftover dal to the dough and roll out those perfect dal parathas. Upma: Suji can be cooked with fresh vegetables and lentils. Upma makes the perfect healthy breakfast. Poha: Pressed rice cooked with onions and tomatoes and spiced up to perfection. Remember skipping breakfast slows down metabolism and the body gets used to fewer calories. So anytime you get back to having your breakfast you might put on a little weight as the body is getting used to the extra calories. Stress Management – How to Deal with Stress?